Because we're too cool for labels. See what we did there? Like listening to the podcast and want to know when our latest episodes are released? Click the button below and subcribe to us on iTunes! So I'm in my basement playing one of my favorite games in the world Dance dance revolution...it was supernova to be precise. It then came to my attention that I dont enjoy the newer DDR(dance dance revolution) games. The older DDR games(I guess you could say from DDR-X and backwards) had a charm to them as well as a lot of good music,the challenge was way up there compared to what is now considered tame in my opinion. I cant even beat some of the songs that DDR Max or max2 offer! 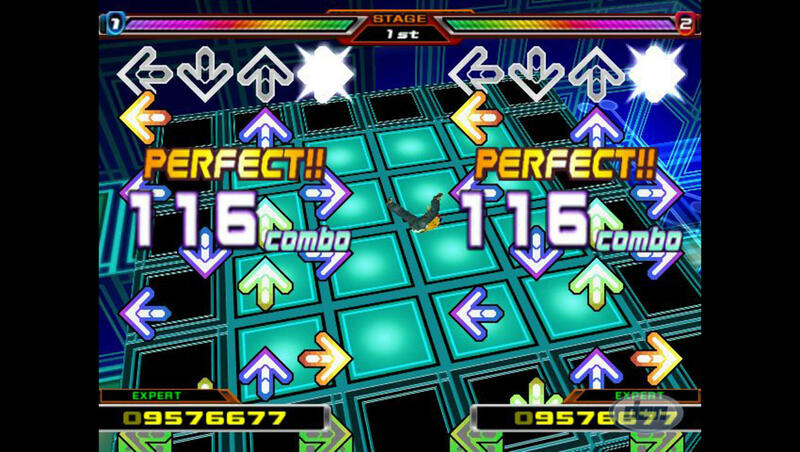 The main complaint that I immediately had when I set...foot...upon DDR hottest party for the Wii, was that most of the songs that were available from the start were seriously mainstream. Understandably so, Konami is trying to market to the “Casual” gamer but theres no reason to have all this crappy music thrown at you when you first start the game. I found maybe one song that I felt like playing,and I couldnt bring myself to enjoy what was left because it just did not appeal to the DDR fan within me. I knew something was slightly amiss when they put that one Chris Brown song in DDR supernova 2,but at the time it fit! The song wasn’t just thrown in because we're American the later releases I feel just added popular songs just to fill space(in the N. American releases anyway). Ever since playing DDR Hottest party I HAVE TO look up the song list for each game because I dont want “shovelware music” that they seem to pack wit the games now. That alone makes me no want to pick up another DDR game,and I'm sure many other fans are the same way. Maybe one day konami and the DDR brand will get it together and we'll have the DDR that we knew and loved. I never really got into DDR, but I loved a lot of the older music. I loved the tempo that made you really want to get up and dance. I can really see what you mean with the newer games. I remember one of the last times that we played, I dance to a slow Chris Brown song (if memory serves correct). I had to struggle to even want to keep playing. Super Sentai anyone? Becoming a Fan Through Gekiranger! No Internet Connection, No Xbox One For You!